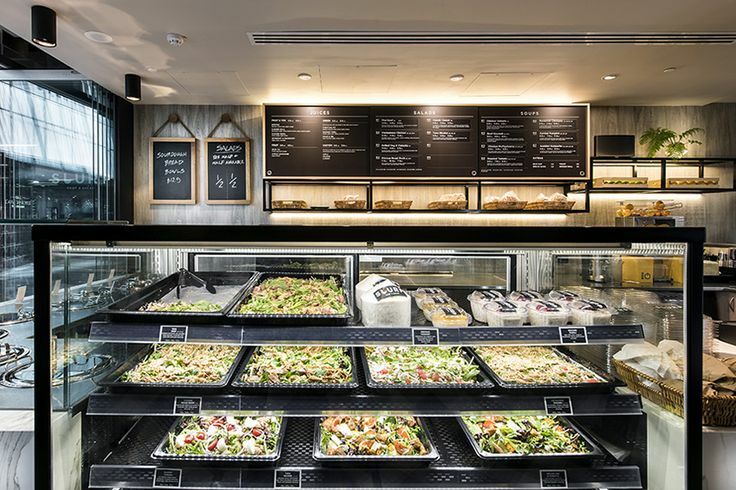 Some cool design in this little Salad & Soup bar at Cloister’s Arcade in Australia. A black and white checkered wallpaper and floor, marble counter and a nice atmosphere. 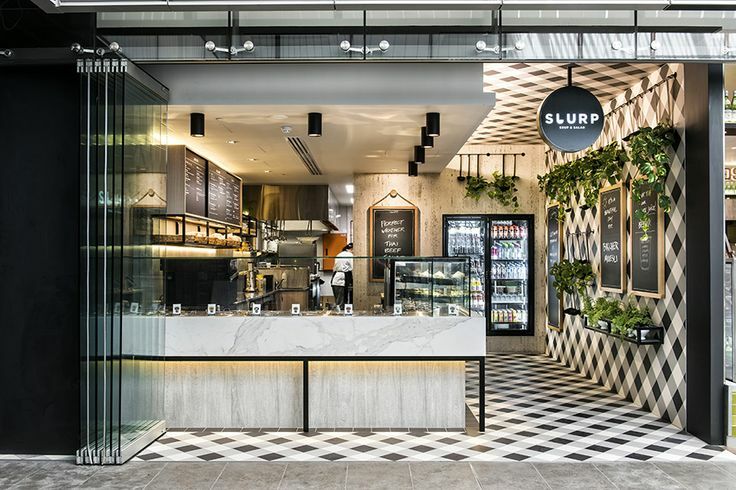 Slurp serves fresh salads & soups with decent amount of fillings made by scratch. Both are available for take away..